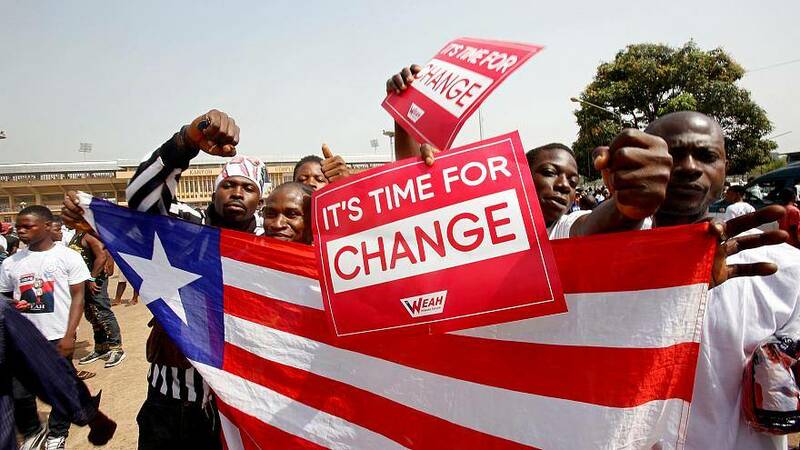 Voters in the West African nation of Liberia go back to the polling stations on Tuesday (December 26) for a presidential run-off vote. The second round has been delayed by several weeks because of a court challenge by the candidate who came third in October's round one. The favorite is George Weah, the former football star. He was 10 points ahead of Vice President Joseph Boakai in the first round. The choice of his running mate raises eyebrows. She is the wife of Charles Taylor, the former president sentenced to 50 years in prison for war crimes in neighboring Sierra Leone. "King George," as his followers call him, promises jobs, and investments in agriculture, free school and hospitals. But the former AC Milan striker is a newcomer to politics in a country crushed by economic difficulties.